It’s hard to find out any information on Cameron and Mario as they are simply pen names. Mario, for example has been revealed to be none other than Kenny Cannon, a self-proclaimed black-hat marketer who has a few complaints on Ripoff Report prior to writing under pen names in 2010. Sounds like a pretty good deal, right? I have to admit, I was curious and decided to take the Offline Profit Machine for a test-run. 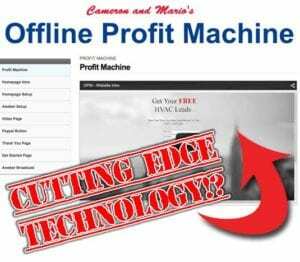 The Offline Profit Machine is a video-only course that has some basic html documents and image downloads with it that teach you how to supposedly acquire offline business clients. It should be noted that there was an upsell for $24.69 which gets you (supposedly) one-on-one email coaching. I didn’t purchase. When the product initially launched in Warrior Forum, there were a ton of complaints within the WSO Thread. Here is a screenshot of a members comment which sums it all up. There are two separate video courses inside of the member’s area. The first of the two is titled the “Profit Machine” videos where Cameron goes in-depth about setting up your profit machine. The second video and audio series is called the Marketing Machine and Mario explains how you are to acquire clients. Basically, the cutting-edge technology that is mentioned in the sales copy is simply a collection of notepad html files.  Cameron walks you through more than an hour and a half of video in order to create a 4-page-website that has an aweber email submission form, an SEO services sales page with a PayPal button, and a thank-you letter. Needless to say, I was not impressed by the cutting edge technology as this tactic of lead acquisition has been around for quite a while. To give credit where credit is due, Cameron is very in-depth about how to create these pages, but the full video series is obviously unscripted and often repetitive. In the second half of the training, Mario presented the “Marketing Machine” series much more precisely than Cameron, but there was still quite a bit of unnecessary information crammed in there. The sales copy for the product stated “no cold calling, mass emailing, or selling.” I was pretty curious as to exactly how I’d be getting traffic from offline businesses without those methods. Well, as Mario explained, I wouldn’t be mass emailing anyone. I would be hiring outsourcers to mass email for me instead. I’m not one to normally unveil so much about the inner-workings of others’ products, but with the blatant deceptive sales copy on this one, I have to divulge more of what it’s all about. If you are a complete newcomer to internet marketing, then the “Profit Machine” videos would be helpful if you are wanting to setup a basic email capture form with a sales funnel. Aside from that, I really can’t think of anyone else who would benefit from this training. Also, if you want to set an email capture page up, there are some much better courses online that can teach you how to do it. Does Offline Profit Machine Offer any Support? On the main page of the course there is a support email listed. However it’s buried beneath a large ad for an upcoming webinar and it’s very hard to find. Cameron and Mario do have a pretty good track record over at the Warrior Forum of providing good customer service and honoring their customer’s refund requests. This method of client acquisition may be fitting for some, but I seriously simply can’t see it being an effective business model. For businesses with an online presence already established, it will take more than a decade-old opt-in page to acquire them as clients. For businesses with no online presence, you will have some difficulty finding the emails to contact the business owners in the first place. It’s hard to see the “cutting-edge method” that was promised in the sales letter actually in the training. What is Better Than Offline Profit Machine? Here is an excellent strategy. Watch a few videos, get a small little website up and running, and then contact people claiming you can help them with their business. If that does wreak of a scam, then I don’t know what it is. 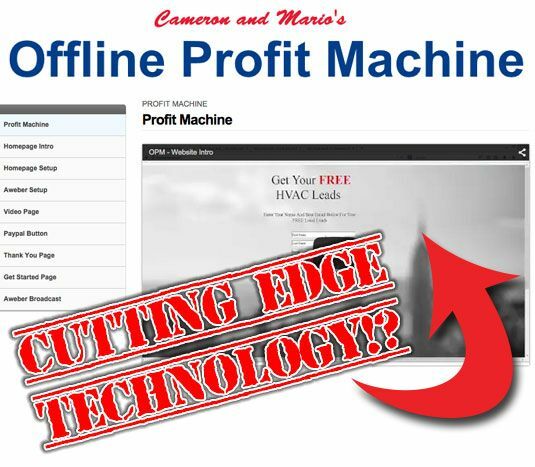 The offline profit machine program by virtue is teaching unqualified people how to first off, lie to companies via email in attempt to recruit them as clients…and then second, they are required to pretend they have a lick of “chops” within the SEO world to help them with their online business. An unethical program that breeds unethical behavior. Shameful. The sad part of this is that there are die hard fans who will follow these folks regardless of how lame their products are. It’s like giving them the benefit of doubt over and over again! My personal goal is to stop as many people as possible from buying these low valued products. And a lot of the time it is them telling you that they are great. Unfortunately if someone has to boast about their successes, they are either lying or they are trying to mask a low quality product. In this case I believe it could be both. Thanks for writing a “Real” review and exposing garbage for what it is. There’s just too many WSOs that are just pure crap today.